IRIS GUY POP UP SHOW THURS FEB 12! Click here for details. 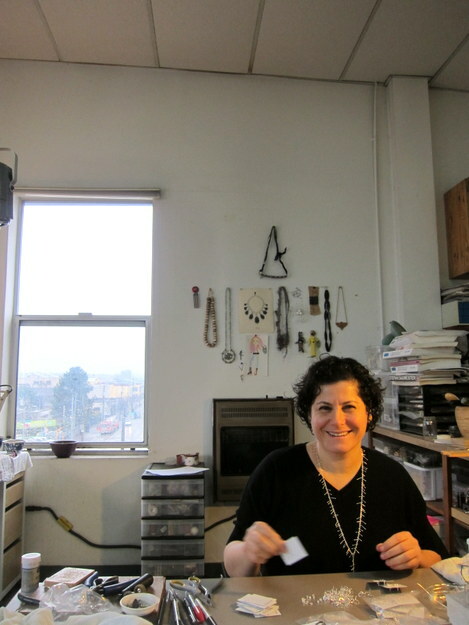 Iris Guy’s jewelry has won her repeat customers and is carried not only at small boutiques like KOBO, but Seattle Art Museum and the Tel Aviv Museum of Art. We were impressed to learn she has been making some of her designs six or seven years because they continue to be popular. 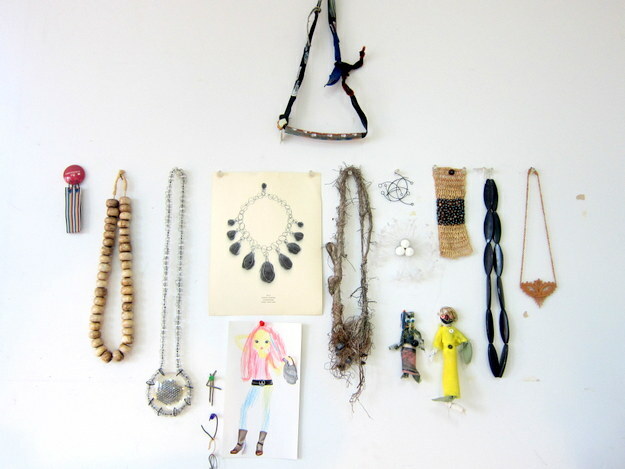 Take a step into Iris’ studio to see her inspirations and process. 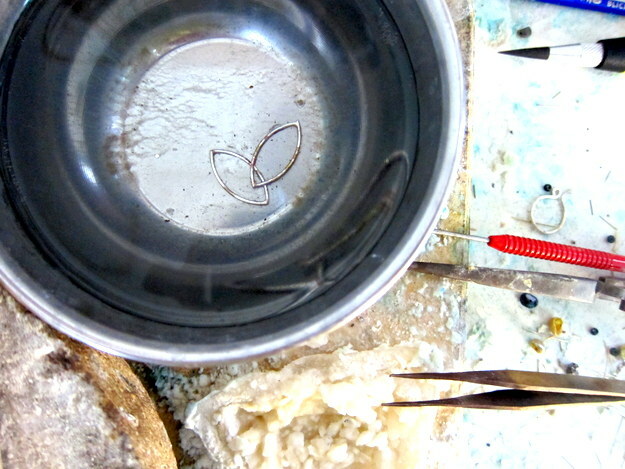 Soldering curved silver pieces (above) to make forms for pieces like the Long Seed Earrings pictured below. 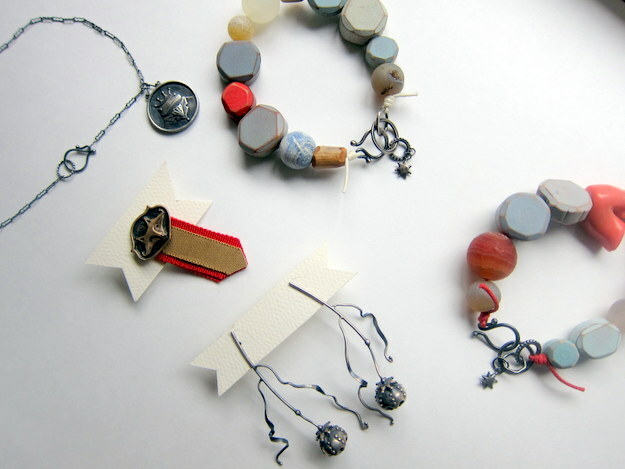 I mostly describe myself as a jewelry artist. I earned my Bachelor of Design in visual communications, and I’m graphic designer in my soul, but ALWAYS had the need to work with materials, and get my hands dirty rather than work on the computer all day. 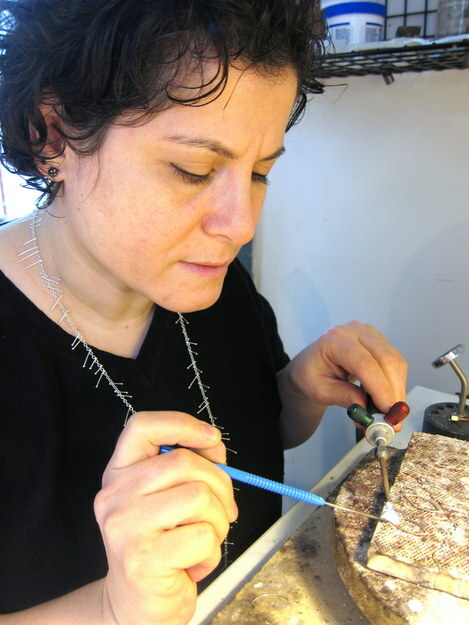 I knit whenever I have free time, and my first collection of jewelry was hand crocheted jewelry with silver and gold wires (I used to knit for days with my grandmother…). Jewelry is my natural passion driven from my love for accessories and wearable art, and a natural continuation of my graphic design passion, converting the 2D to 3D. 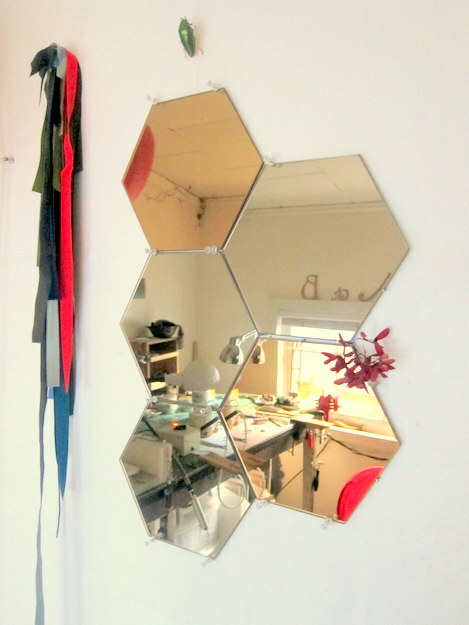 You studied graphic design in Jerusalem, relocated to Japan, and now make jewelry in your Seattle studio up the street from KOBO at Higo. 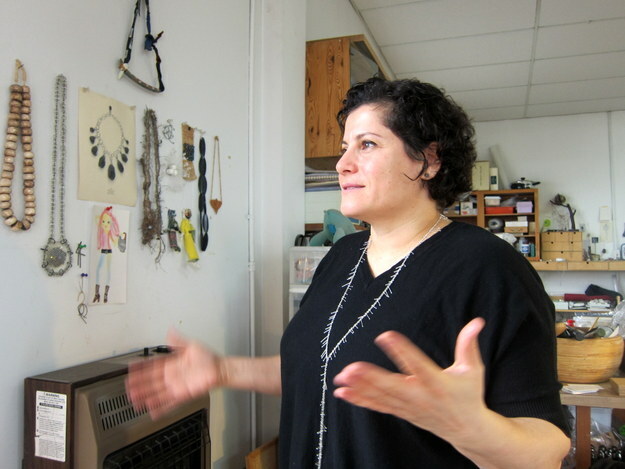 Has your international background influenced your art in any way? Of course! I love folklore art and tribal art, I absorb and observe any place that I’m at, get inspired by shapes, patterns, materials and people. What’s your favorite part of your job? The most challenging? My favorite part of my job is when I people wear my pieces and I see how unique they feel. 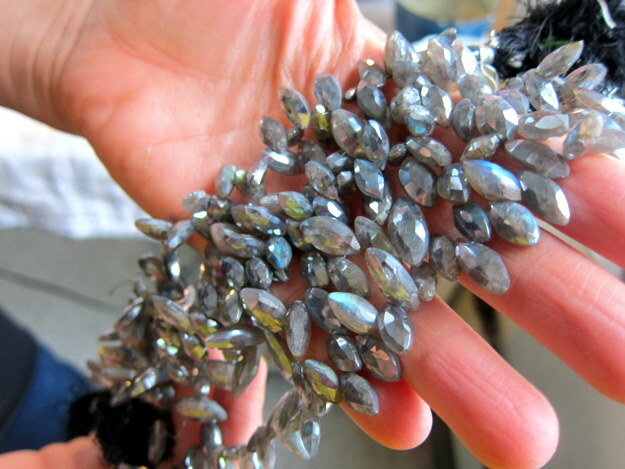 I also love working with the materials and creating something new – which is also the most challenging. 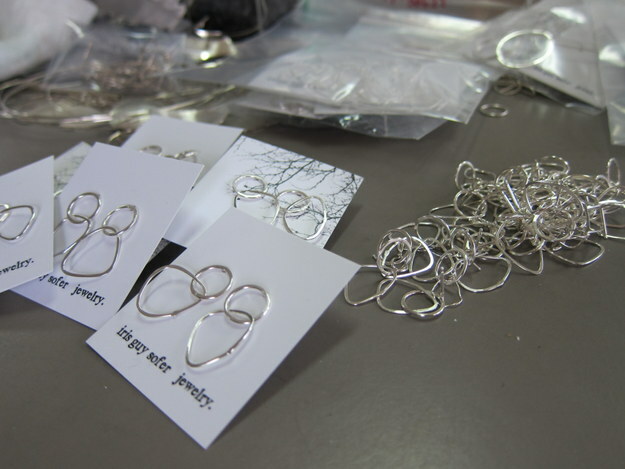 Any advice to our customers who may be looking for a special piece for their Valentine? 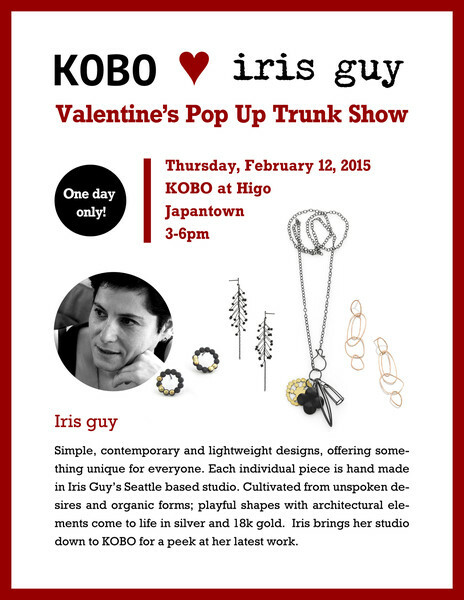 Find Iris Guy’s jewelry HERE on our site, or join us at KOBO at Higo for a Valentine’s pop up trunk show! 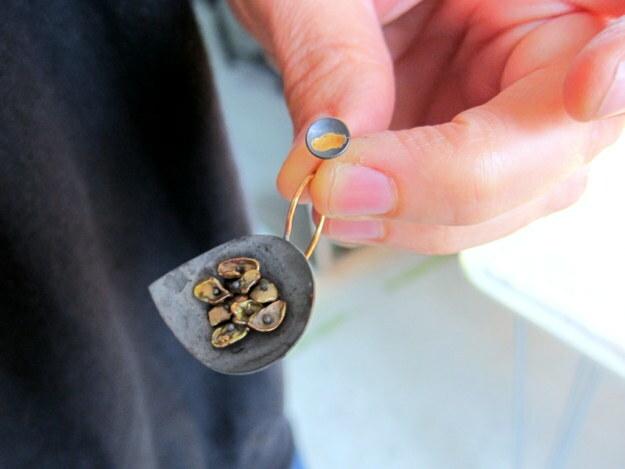 Discovering Amanda Bristow’s jewelry is like finding storybook treasure – tiny silver flower pods, ‘gems’ carved from driftwood, and whimsical animal medallions. 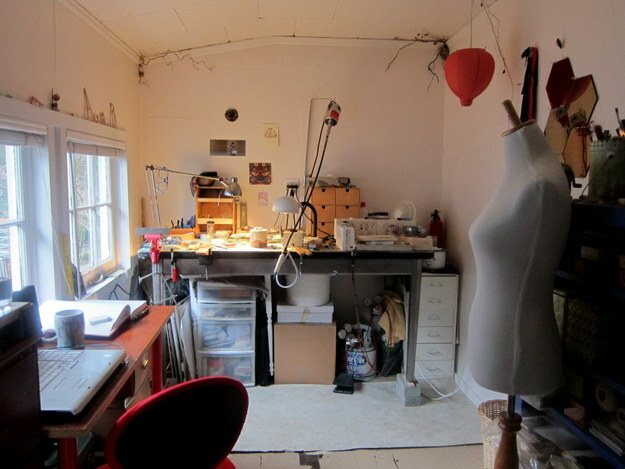 We visited her tiny West Seattle studio to take a look behind the scenes of her jewelry line, Bristorium. I probably spend too much time curled up on the couch daydreaming with my kitty and hot water bottle, so naturally my work has a bit of a dreamy quality to it. 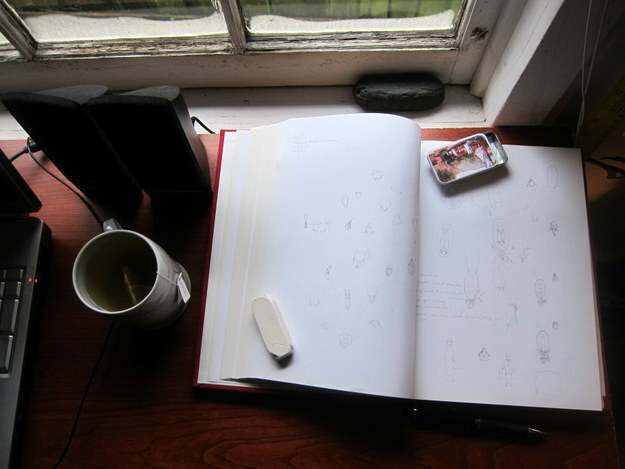 I often like to imagine, especially on rainy days, that I am living in a wistful fairy tale, conjuring up fleeting stories about sopping trees and fluffy little animals scurrying around outside my window. That is how I like to think about my jewelry too, that it is part of some sort of secret and bewitching narrative that I have yet to discover. Your animal-themed jewelry reminds us of fairy tales. 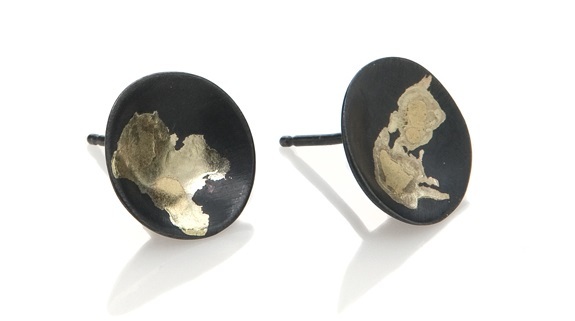 Where did the inspiration for these pieces come from? 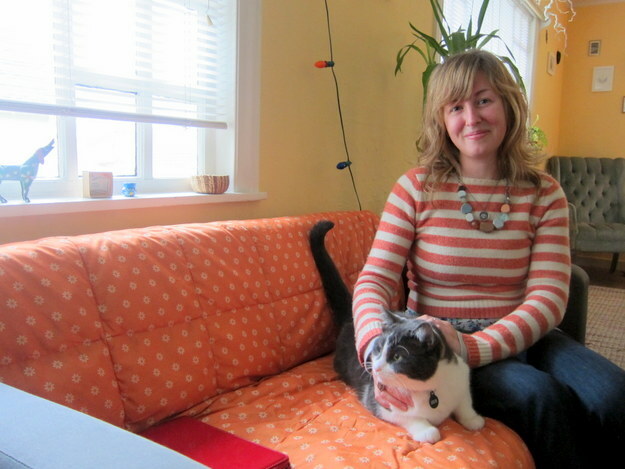 My inspiration for the animal jewelry is very much derived from children’s literature. I have a special place in my heart for this type of book illustration. My mom is an artist and did a lot of illustration for a children’s mail order book company when I was growing up. My sister and I always had stacks of the most gorgeously illustrated stories. I spent so many years gazing at illustrators like Lisbeth Zwerger and Chris Van Allsburg. In fact, I still refer to many of their books when I am stumped for inspiration. 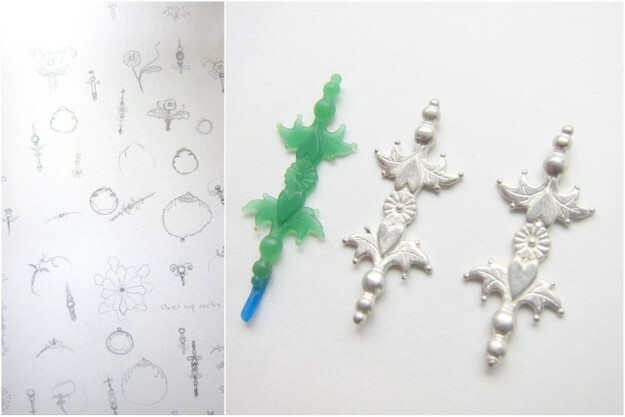 We watched a tutorial on lost wax casting after reading that you use this technique for some of your jewelry. It seems very involved! What drew you to this method? It is pretty involved! 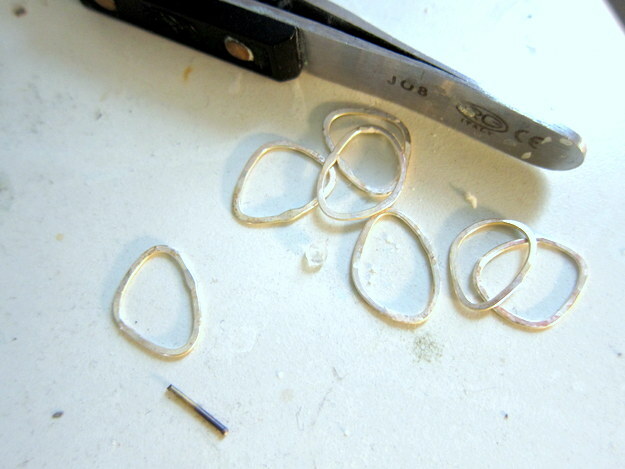 I think what initially drew me to wax carving was the more fluid quality that could be achieved by carving a wax vs. constructing something out of flat sheet metal, sort of in the way that clay provides so many more options than origami. 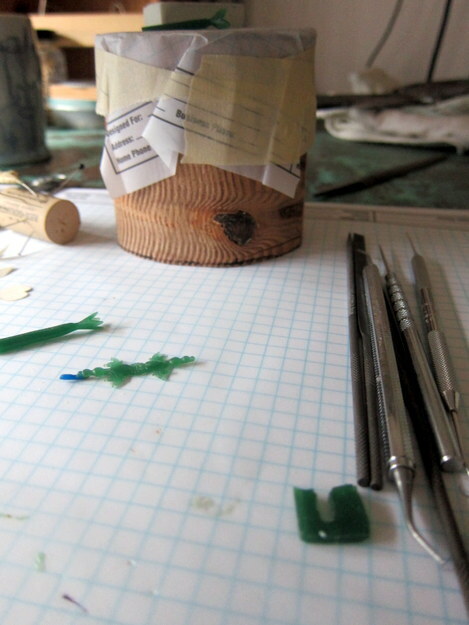 Most of the pieces that I make employ the lost wax technique. 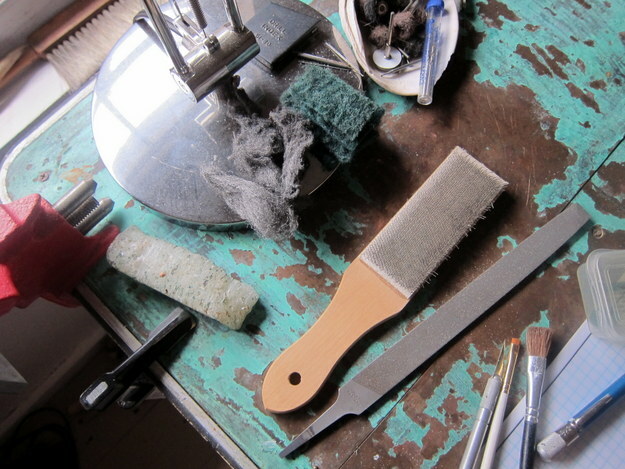 If there are three dimensional forms or graphic elements, then those parts started as a wax. There just isn’t any other way to get those shapes and detail. Can you tell us a little about your wonderful animal brooches? It gives me much happiness to imagine my brooches to be like a badge of honor Puss in Boots or some other heroic animal creature might wear. I think everyone needs a tiny medal to pin on their coat just to remind them that they can be courageous too. There are so many little struggles that people overcome every day that go unrecognized. 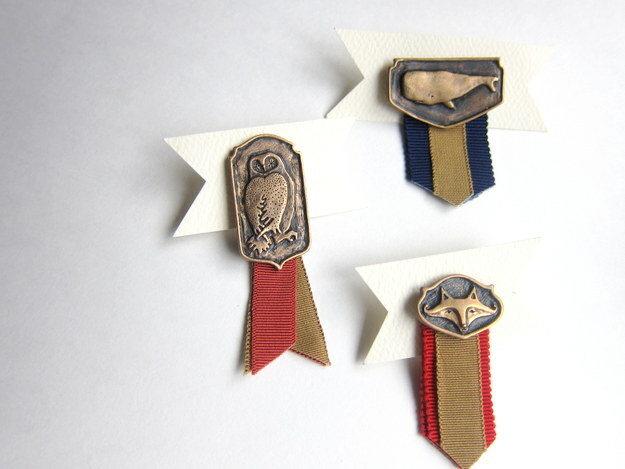 It’s nice to think that these brooches could be a small token of merit for those unsung victories. 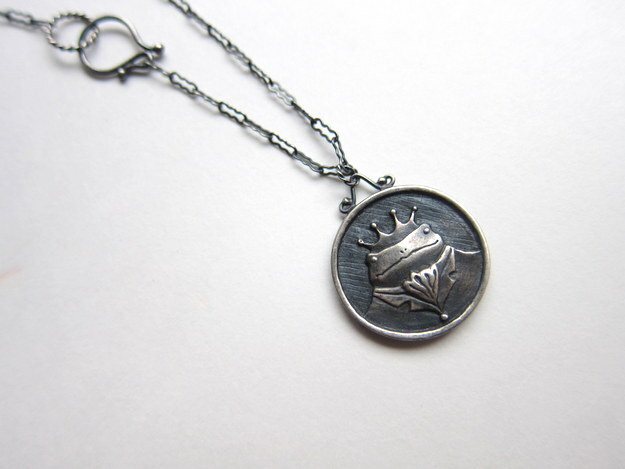 Any advice to our customers looking for a special piece for their Valentine? I find it best to spend a little time thinking about your sweetheart and what sorts of things make them smile. Try to put aside any thoughts about who forgot to take out the recycling or how they haven’t yet worn that birthday sweater you gave them two years ago. Just focus on colors they like, imagery they love, things they would want to buy for themselves but deem too frivolous, and you should arrive at just the right gift. Although, if it is from the heart, you really can’t go wrong with that. 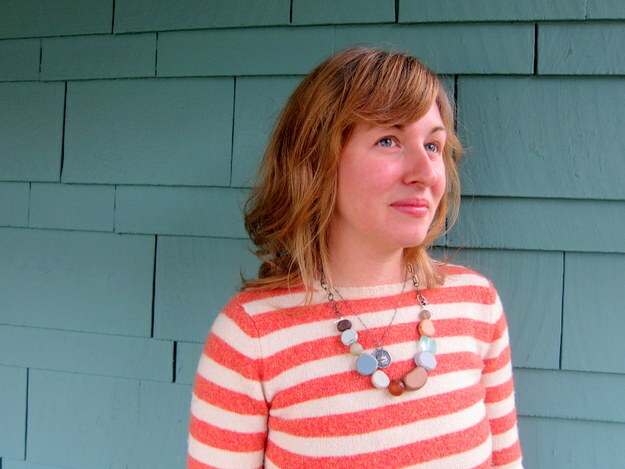 Find Amanda’s Bristorium jewelry line at both our locations – KOBO at Higo and KOBO Capitol Hill.